Exclusive! 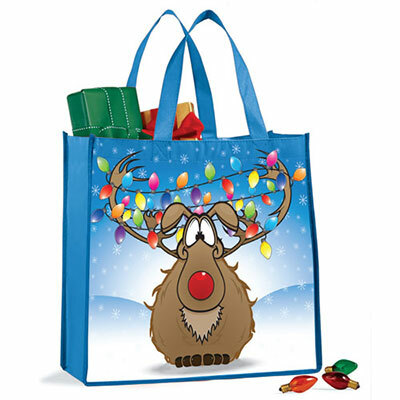 Shopping and distributing gifts is even more festive with this rugged, lightweight Christmas Lights Reindeer Tote. Durable non-woven polyester coated for easy cleanup. Imported. 14"w, 12"l handles.